Preheat your oven to 180°c and use a tiny bit of oil on your waffle mould to prevent sticking. 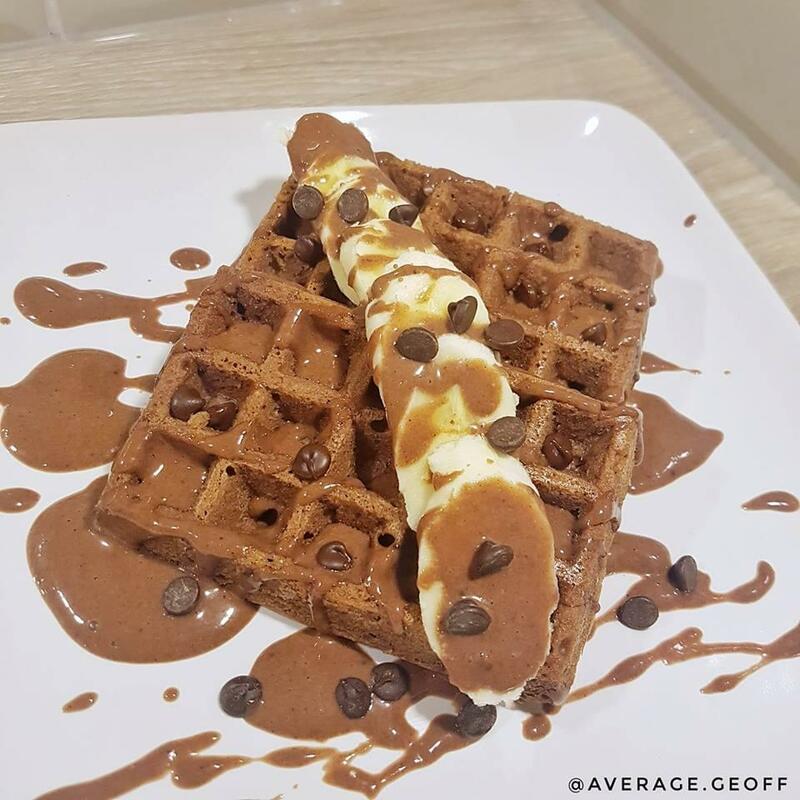 Mix up your waffle bits apart from the Choc Chips and pour evenly into them. This should make 2 servings worth. Whack them in the oven for about 10 minutes and turn out onto a plate. Serve with the protein sauce and half a Banana along with the Choc Chips.